The316 L Stainless Steel Fixed Leg rest Beach Wheelchair is designed with higher tier of material compared to standard wheelchairs. 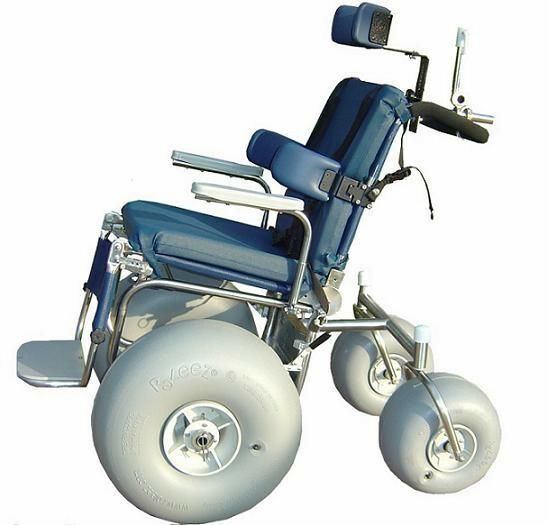 Not to mention weight capacity of the wheelchair is 350 pounds, and a weight capacity of 600 pounds can be used as well. 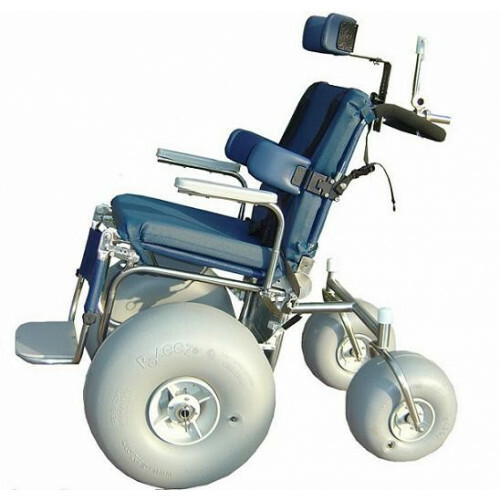 The wheelchair has wheel hubs that are used to take out salt water corrosion. In addition, rear suspension will allow all four rear wheels to have contact with the ground. The arm rest can be made into lateral transfers. Also, footrest has an adjustment and position angle adjustment for proper foot support. Moreover, wheel brake can be adjusted on each side using steel hardware.